Never mind the ultra slim, ultra portable and ultra stylish laptops, such as the Apple MacBook Air range, many people just want a reasonable laptop at an affordable price. Step forward the Toshiba Satellite C650-15X, a great laptop for everyday use that won't break the bank. The Satellite C650 has a sober-looking design. However, Toshiba has given it a nice plain black matte finish which feels beautifully robust and there's no flex in the hardware. Toshiba has also made sure the components and features are competitive. 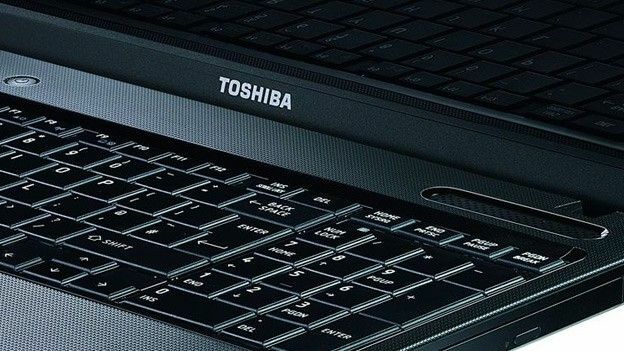 The Toshiba Satellite C650 is simple to use thanks to an end-to-end keyboard on the 15.6-inch frame, complete with a numerical keypad – great for creating presentations and typing for long periods. Connections are average with only one VGA and two USBs, but there's no HDMI forHD fun. Toshiba also left out a Blu-ray drive option, optinginsteadfor an integrated DVD hard drive -not really a surprise when looking at the competitive price. Our Windows 7model had an ageing 2.3GHz dual core processor, but it does have 4GB of DDR3 – the fastest memory money can buy. Combined with the 64-bit flavour of Windows Home Premium and roomy 500GB hard drive, the Satellite C650 has respectable specs, ably handing day to day tasks, but you won't be playing games via the Intel GMA 4500M graphics card. Toshiba claims 270 minutes battery life and we came very close at 254 minutes, but this is reduced to 145 on maximum performance mode with all bells and whistles turned on. At 1366x768 the Satellite C650's 15.6 inch screen has a low resolution for a mid-sized laptop. We tried opening two documents simultaneously but found you really need a higher resolution to make it viable. On the positive side, the LED Backlit display isn't too glossy and has a wide viewing angle so it's easy for more than one person to see the screen. Toshiba's included some useful software from Nero and McAffee - programs you'll actually use. This makes the Satellite C650 good to go out of the box. We also love the inclusion of face recognition software for the integrated web-cam, which can be used as a security feature. The Toshiba Satellite C650 isn't ultra-mobile and performance is average, but for everyday tasks, including browsing and office tasks it's a solid choice. If you or a son and daughter are heading off to university any time soon then it's worth noting that this laptop is available under the National Notebook and Desktop Agreement (NDNA) for students, where it comes with a three-year warranty.